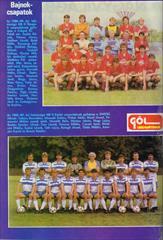 Description The complete deluxe bound set featuring all the issues of this Hungarian football magazine packed with photos and statistics. Packed with hundreds of photos. 29 x 22 cms, bound Volume, 576 pages.